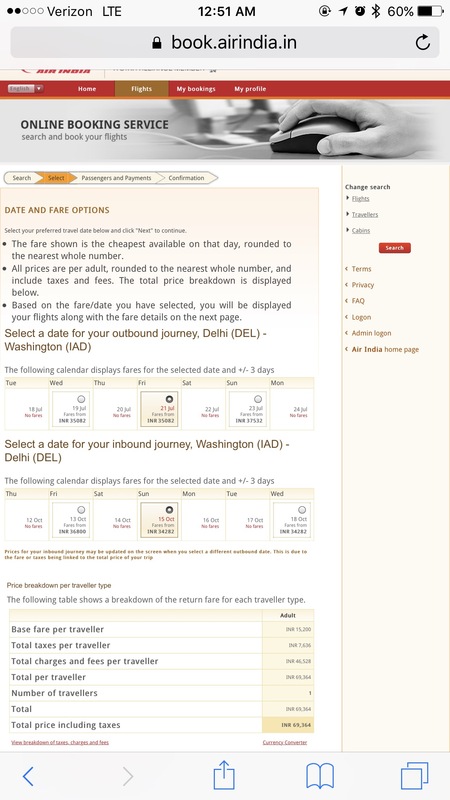 Delhi DEL to Washington Dulles IAD Air India direct flights are live on www.airindia.in. Test round trip fares for July to October came to ~ Rs. 69,000 (approx $1060). The flights start in July 2017, three days a week: Sunday, Wednesday and Friday. The flight time is 14 to 15.5 hours covering ~ 7500 miles on a Boeing 777-200LR (AI 104 and AI 103 respectively).